From the size and overall appearance my guess is that it is Enaphalodes cortiphagus, the Oak-bark Scarrer. Adult flight is July through September. 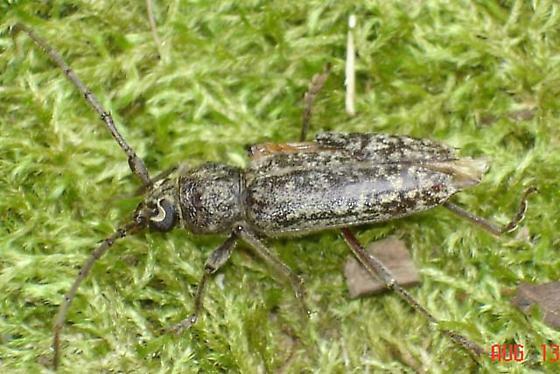 Frank, Thanks for your comments on both longhorn beetles. Sorry to say we did not save the Goes tigrinus from its fate with the spider. We let nature take its course. We do love spiders here. ...a species of Parelaphidion, prob. P. aspersum. What identifying features should I look for to make this ID? Parelaphidion has a shiny rigde in the middle of the pronotum. I'm not really seeing that here. I still think it is Enaphlodes atomarius.